We’re delighted to announce that Harpooned Soul: the Jade Bell story will be premiering in cinema this Wednesday (29 May) at the Fritz Movie Theatre on Salt Spring Island in BC, Canada. Produced by the Borderless team and Directed by Dean Easterbrook, Harpooned Soul – the Jade Bell story captures the engrossing reality of a man who is fighting a heart-breaking and personal war against drug-addiction among youth. Jade will be doing a Q&A after the movie – and door sales will be used to fund a music recording studio and mentorship programme for youth on Salt Spring Island. At 23, Jade made the life-changing choice to inject a near-fatal overdose of Cocaine and Heroin into his arm. Fifteen minutes of oxygen deprivation left Jade blind, mute and immobile. The Jade Bell Story unravels Jade Bell’s character and past life-choices; and travels to present day where Jade is fulfilling his own dream to empower kids with creativity over drugs with his own devastatingly beautiful demonstration of poetry and music. BORDERLESS has worked with Be. Accessible since its inception in early 2011, and today are proud to be getting a Be. Welcome Assessment! In a world where we are all in a rush and charge ahead with mountains of work each day, it is wonderful to engage with the team at Be. to consider how we are catering to the needs of all people in our communities. The Be. Welcome assessment looks at how accessible we are as a business; whether we are catering to the needs of all our clients, suppliers, and employees. This morning our lovely Be. Coach, Lauren, came in and within 2 hours she had quietly completed her checklist and we should receive a rating and report in a week or so. We’ll let you know how we go! And in the mean time we would certainly recommend getting in touch with the inspiring team at Be. Accessible to find out how you can begin your accessibility journey also! Qiujing shares 5 valuable lessons learnt from practicing the art of social change at Borderless. 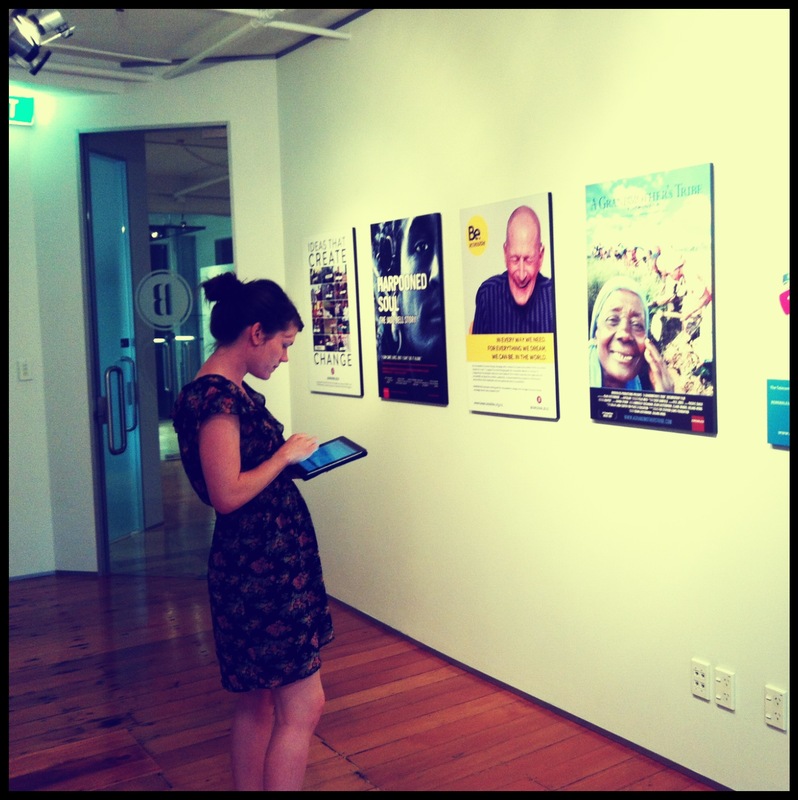 BORDERLESS supports new anti-bullying campaign – read more in today’s NZ Herald. BORDERLESS is proud to work in support of the Mental Health Foundation to promote Pink Shirt Day (18 May 2012), a national campaign aimed to raise awareness around how to prevent bullying. The annual day of action celebrated in New Zealand and internationally, Pink Shirt Day Aotearoa falls on May 18th, 2012. Our team worked with Tamati Coffey (Weatherman and NZ’s Got Talent Host) Levi ‘Nek Minnit’ Hawken, Roseanne Liang, Witi Ashby and Hayley Holt to create a video in honour of Pink Shirt Day. The video features individual stories and frank discussion about bullying. “I believe we all have the power to change, a power to ask for help and also a power to intervene,” says ex-gang member, Witi Ashby. BORDERLESS is delighted to be hosted by FHI 360 to showcase its film, A Grandmother’s Tribe (www.agrandmotherstribe.com) on 10 May in Washington DC, USA. FHI 360 is a leading human development organization dedicated to improving lives by advancing integrated, locally driven solutions. Its staff include experts in education, health, nutrition, economic development, civil society, environment, gender, youth, research and technology – creating a unique mix of capabilities to address today’s interrelated development challenges. FHI 360 serves more than 60 countries and all U.S. states and territories. Is stealing wrong? Is lying to your parents unethical? Is cheating wrong? Do we intuitively know the answer to these ‘universal’ questions that help make up our set of values or ethics? Are we even aware that these answers represent our philosophical beliefs about the world? Recently BORDERLESS was asked to be involved with the first ever Centre of Ethics to be introduced into a New Zealand school, at Diocesan School for Girls in Auckland. BORDERLESS Director and Dio old girl, Qiujing Wong, presented to the school on two occasions in March and April to mark the opening of the Centre with Patron, Dame Sian Elias (Chief Justice of New Zealand). We had to think about how the rich topic of ethics could be explained to a diverse group of 5-17 year old girls! Yet, in it’s simplest form, from the day we are born, we are taught what’s good and bad, right and wrong, and for young children, this is presented as ‘fairness’. Is it fair that I take all the lollies and leave none for anyone else? Is it fair to copy someone else’s assignment and say it was mine? In fact, we ended up teaching ourselves a lot out of this simplification of the concept of right and wrong. So we thought that it would be worth sharing with you – no matter your age! Ethics, or fairness, involves asking ourselves a set of questions to get to a point where we can make decisions that are good, just, and fair. The first step to figuring out whether something is fair, is to learn about it – to understand it. We see a lot of images on television and in the media that are often very sad and sometimes distressing. The most important first step is to do some investigating for yourself, and find out a bit more about the issue. At BORDERLESS, we have been faced with social issues such as grandmothers raising grandchildren in Africa, youth overdosing on drugs in developed countries like Canada, civil rights in Nepal and more recently the need for a fairer and more inclusive society for people with accessibility needs in New Zealand. In each case we are looking for real insights before we embark on storytelling and social change work. Case in Point: What do I think about this? In the case of A Grandmother’s Tribe, we met so many gorgeous children just like us, but who had been orphaned after their parents had died from HIV/AIDs. And we thought: that’s not fair. We spent time with these children to understand their day to day lives and found out that it is their grandmothers who now play the role of raising them. So we started to think about how we could help these incredible grandmothers to raise their grandchildren. What can I choose to do? At this point we had to decide to really do something to help the children and their grandmothers in Africa. We decided to make a film that would tell the story of some of the people we met, and then raise money to help them. On the first night it showed in Canada, we raised enough money to buy 11 homes for Grannies, and today, we have played a small part in raising more than $12m and much awareness for the work of these incredible women. The theatre in Canada where money raised for 11 houses for Grannies was generously given. From this process, we’ve learned that ethics is more about the process of understanding something rather than a set of rules to live by. By challenging our own thoughts by asking questions we will gain a broader and more deeply-informed set of values to live by. This philosophy is central to the BORDERLESS way of thinking. We encourage everyone to keep asking questions; to ask themselves whether something is ‘right’ or ‘wrong’ and why that’s the case. We believe that this process of ethical questioning has led us to the incredible variety of work that we are involved in today, from accessibility to environmental issues, and helping kids in our very own backyard. With all the dark, challenging and unfair issues that exist in the world, people are always asking ‘How can I make a difference?’. The golden answer: Keep asking those questions. Is it unfair? What do I think about it? Then consciously choose to do something about it.